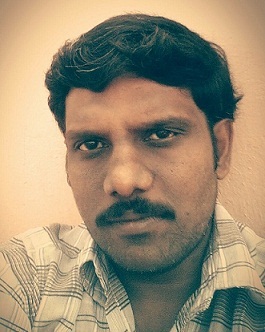 I am republishing the Quora answer that I wrote. You can read my answer in Quora here. But actually, by going by their own words, both Sadhguru and Javed Akhtar are men of reason and are against faith. Both are in agreement towards how belief implies not accepting that one doesn’t know. Then what are they really debating about? The debate would make more sense when it is about whether spirituality is necessary or not. I think that is how this debate should have been titled and introduced. Because, that is exactly where Javed disagrees with Sadhguru. There is no doubt that Javed Akhtar is an intelligent man and a great lyricist. But he doesn’t seem to agree with the fact that there is a way to get liberated from human suffering. Plato in his dialogues has said many a wise thing, and one of them is – before starting any discussion decide on the meanings of words. Let us try to decide on the meaning of this word spirituality. Does it mean love for mankind that transcends all religion, caste, creed, race? Is that so? Then I have no problem. Except that I call it humanity. Does it mean love of plants, trees, mountains, oceans, rivers, animals? The non-human world? If that is so, again I have no problem at all. Except that I call it environmental consciousness. Does spirituality mean heartfelt regard for social institutions like marriage, parenthood, fine arts, judiciary, freedom of expression. I have no problem again sir, how can I disagree here? I call it civil responsibility. Does spirituality mean going into your own world trying to understand the meaning of your own life? Who can object on that? I call it self-introspection, self assessment. Does spirituality mean Yoga? Thanks to Patanjali, who has given us the details of Yoga, Yam, Yatam, aasan, pranayam…We may do it under any name, but if we are doing pranayam, wonderful. I call it healthcare. Physical fitness. Somebody in return can ask me what is my problem with this word. I am asking to change it, leave it, drop it, make it obsolete but why so? I will tell you what is my reservation. If spirituality means all this then there is no discussion. But there is something else which makes me uneasy. In a dictionary, the meaning of spirituality is rooted in a word called “spirit”. When mankind didn’t know whether this earth is round or flat, he had decided that human beings are actually the combination of two things. Body and spirit. Body is temporary, it dies. But the spirit is, shall I say, non-biodegradable. In your body you have a liver and heart and intestines and the brain, but since the brain is a part of the body, and mind lies within the brain, it is inferior because ultimately the brain too shall die with the body, but don’t worry, you are not going to die, because you are your spirit, and the spirit has the supreme consciousness that will remain, and whatever problem you have is because you listen to your mind. Stop listening to your mind. Listen to your spirit – the supreme consciousness that knows the cosmic truth. All right. It’s not surprising that in Pune there is an ashram and I used to go there. I loved the oratory. On the gate of the lecture hall there was a placard. Leave your shoes and minds here. There are other gurus who don’t mind if you carry your shoes. But minds?…sorry. Now, let me address something very important before I talk more about the debate that happened. I have seen a lot of comments in that Youtube video (Faith, Reason and Inner Engineering) attacking Javed Akhtar and labeling him idiot and stupid. First of all, just because someone doesn’t understand what spirituality is, it doesn’t mean that he is idiot or stupid. There are too many factors into play, which makes a person to get frustrated with running on a hedonic treadmill and search for a way to get liberated. A lot of Jaggi Vasudev’s own followers don’t understand what spirituality is. Before Osho died, he has said that only a very few people understood his message. I read somewhere that J.Krishnamurti said something like ‘Where did I go wrong, why didn’t these people understand me’.. Many people who think themselves as seekers actually start the journey with a curiosity or sometimes even with blind faith.Many people think that being religious is being spiritual. And all these people are not idiots..
A lot of you may have trouble explaining such things to your mom, dad, sister and friends.. Would you call all of them as stupids? If you consider for a moment that Javed Akhtar is also someone like your dad or granddad, you will not indulge in personally attacking him while sitting in your arm chair. When you talk to the skeptics, it is very important to not to talk about things which sound like woo woo or which are ambiguous. So, let me talk about what authentic gurus actually mean when they use the word spirituality. We can take two very popular words in our tradition to inquire into its actual meaning. One is ‘moksha’ which means ‘liberation’; the other is ‘nirvana’ which means ‘extinction’. Before I explain what exactly we mean by that, let me explain another concept. Human beings are always running on hedonic treadmill. What is it? Hedonic adaptation is a process or mechanism that reduces the affective impact of emotional events. Generally, hedonic adaptation involves a happiness “set point”, whereby humans generally maintain a constant level of happiness throughout their lives, despite events that occur in their environment. The process of hedonic adaptation is often conceptualized as a treadmill, since one must continually work to maintain a certain level of happiness. For most of the people, living our lives is like running on a treadmill. You think you will be happy after getting a job. You feel happy for a while but then you run for something else.. You may think marrying the love of your life will make you happy. But the excitement of your marriage fades away and now you want to buy a car. Then you want to buy a house.. But you never get the ultimate satisfaction that you are aiming for. It is like a fire that is burning continuously; the extinction of this fire is nirvana. It is a prison that keeps you trapped. The liberation from this prison is moksha. Why Javed Akhtar is not open to the idea that such a liberation is possible? From this debate and from other talks of Javed Akhtar, I have understood one thing. He might have seen a lot of fake gurus. He might have noticed a lot of cultish behavior from their followers too. Sadhguru also mentioned in the video that just because one has seen some bad apples, that doesn’t mean all apples are bad. But we also have to understand a reality. Most of the people today who are posing as Gurus are frauds or somehow fooling themselves that they are enlightened. Some of them may be intelligent , have good intentions and might have even had some spiritual experiences. But they might have taken up a guru role before the actual liberation has happened. Though there is no foolproof way to find out if someone is enlightened, there are lot of indications that show that someone is not, which will be obvious especially for people who are more advanced in the path. After seeing the way such gurus are, it is not surprising to me that Javed is not open to the fact that there is actually a way to get liberated and that it is quite possible. Because of this hardwired concept he has about gurus in general, I don’t think he will be ever open to something that comes from anyone who is called as a guru. And a debate is certainly not a situation where such a thing can happen. He may be more open to someone like J.Krishnamurthi. Or a better option would be to gift him the book ‘Waking up – Spirituality without religion’ written by Sam Harris. 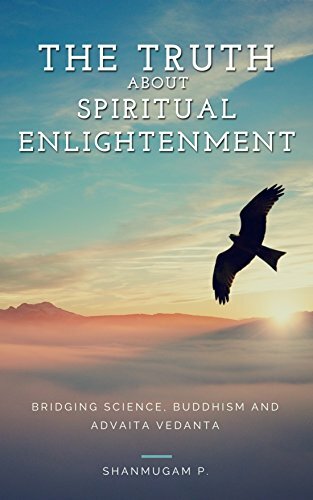 🙂 I have read testimonies by some people who said that they were skeptical about the truth of spiritual enlightenment but they became seekers after reading this book. I appreciate Javed for determining or mutually agreeing with the meaning of the words in the beginning. Because, this is very important since a lot of debates are semantic and happen because of each person using a word to mean something different from what the other person uses. A lot of confusion happens because of confusions in the terminology. So, it is important for both the parties to come to an agreement on what the words actually mean. Sadhguru says philosophy is just a fantastic explanation of aspects of life which can never be explained. He also says that he doesn’t have any philosophy. Thanks to him for mentioning what he means by the word philosophy. This is again an example of point 1, because he uses the word ‘philosophy’ the same way Osho used it. But coming up such fantastic explanation of aspects of life is only one aspect of Philosophy. Epistemology, a subject that deals with how knowledge should be acquired is philosophy. Scientific method that science uses is actually a philosophy. Logic is also a part of philosophy. Sadhguru says that there were no teachings in this country but only methods. And he says that there were no believers in this country but only seekers. This may sound good to hear but it is not true. There have been countless teachings, philosophies and even a lot of absurd ethics in this country. There has been contradictory metaphysical theories in each school. What is Manusmriti? It is not only a book of teachings but it had the most cruel ideas about the caste system. The whole vedanta and mimamsa schools are based on the belief that Vedas and Upanishads are eternal , infallible and revealed through divine revelation. 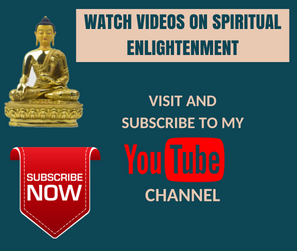 I have talked more about it here: Shanmugam P’s answer to Which philosophy personally appeals more to you, Buddha’s Pratityasamutpada or Advaita Vedanta? . Also, there has been countless wars based on the beliefs. For example, wars between Shaivites and Vaishnavites, murders of countless jain monks by the believers of Shiva etc. I am mentioning this because many people who follow Sadhguru are so blind and they never accept that Sadhguru can also be wrong. After a few minutes have passed, you will notice personal attacks from both sides. But do you see who started it? After Javed talked about agreeing on terminology, Sadhguru ridiculed him for no reason and commented about his intelligence. There is no reason to do that. It doesn’t look good for a man like Sadhguru. Moderator asked a question to Sadhguru regarding the followers who engage in wars and ready to kill. She is actually talking about many people creating a ‘cult of personality’. I feel Sadhguru should have addressed this issue because this is actually becoming very ugly now. You can witness this in the comments of that youtube video itself. I have talked more about this here: Shanmugam P’s answer to What advice would you like to give to the followers of Sadhguru Jaggi Vasudev? She also asked regarding charging money for the courses and if such courses are available for poor people. I don’t have any issue in charging money for the courses because it is difficult to conduct courses like this without money, especially in metro areas. But Sadhguru also mentioned that such courses are conducted in rural areas for free. I have been hearing this quite a lot, but has anyone questioned how true it is? How many such free programs are conducted on a regular basis and how many villages are covered? How often do they happen? Sadhguru himself says that if one wants to attend such courses for free he has to go to a village. But which village and when? No such information is available in the course schedule of the Isha website. I once sent an email inquiring the details but got no response. Once you make a commitment to provide free courses for poor people, there should be someway for those poor people to find out about those courses. Don’t you agree? Buddha was not interested in mystic musings. He was only interested in showing people the way to liberation. It is because of the empirical approach taken by Buddha, a lot of psychologists are interested in Buddhism more than any other tradition. Anyway, overall the debate was very entertaining and fun to watch. Javed’s posture and reaction was very funny. He seemed to be restless too. Needless to say, Sadhguru made many insightful points in the debate. Javed’s points will make lot of sense even to spiritual people if heard without prejudice. Spirituality may be good in lot of ways such as making you calm, peaceful and selfless. In other ways, it can even harm, depending on what techniques are used in the process. When you doubt your own senses and let someone else direct your mind, your state of mind is altered and highly suggestible. It is shown through scientific studies that hypnosis and brainwashing is most effective on such minds.﻿If your reason does not prevail, it can end up harming your spiritual quest. How do you know that others are really brain washing? I strongly object this word “brain washing”. : If a child is mischievous father says you should not do this or do this or chastise the child. This is showing right path for the child to make him disciplined. if child thinks oh! my father is brain washing me, this is childs foolishness. If brain washing is favorable for understanding spiritual subject matter then it can be accepted. You people say that we have been cheated by bogus gurus, thats all right, this world is a combination of good and bad. If you say bad then there must be good. If you say bogus then there must be bonafied or genuine. Therefore one cannot come to a mere conclusion that since there is bogus or bad people in this world everybody is bogus or bad. There are two sides in a coin, there is light and dark. Therefore you people are blind you don’t know the right path. If you say let me find my path myself. Surely you can try but you will get more confused and frustated. The qualification of understanding spiritual subject matter is purification of heart and what is the process? performing hosterities. Sinful people cannot understand the nature of spirit even one is a great philosopher or poet or a scientists. Lord Buddha first taught to sinful people how to be sinless. He taught the people to show compassion to animals. That means no animal killing, no meat eating. Lord Jeasus Christ gave ten commandments. There is no point in debating or giving comments on the subject of moksha or nirvana if one is sinful. First of all one should know what is sinful and not and act according to it. Jaggi vasudev say others are fools, you may say jaggi vasudev is a fool, mr.shanmugam may say both are fools. How do we know who is right and wrong?. Previous Previous post: What Advice would you like to give to the Followers of Sadhguru Jaggi Vasudev?